The first thing your business should do is put YOU in charge. Among the many things that go in to make this happen are: choice of location, grandeur of position, impeccable connectivity, ample opportunity, easy sustainability, future perfect adaptability. And most of all, a unique and highly impressive elevation. Location is everything, someone once said. 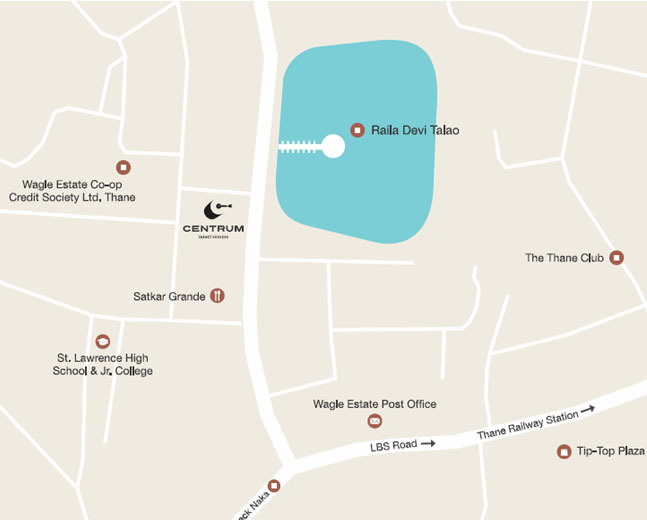 In Thane, Centrum is located at Wagle Estate just opposite Railadevi Lake – which makes it the perfect business address to flaunt. Thane is also connected with other destinations that offer opportunity for growth nationally as well as internationally. Strategically this makes great business sense as these locations will soon spider-web into one large interconnected business meshwork in the future years. Located in the heart of the commercial sector, Centrum takes in to consideration its strategic location of a corner plot with a three side open with an expansive view of Railadevi lake. A workplace where your business is destined to grow, Centrum, Thane is a building that will leave your clients and visitors in awe with its future-oriented design and world-class infrastructure. The offices are designed to promote well-being and collaboration through ample spaces for networking and implementation of modern technology. This is sure to show yours is a forward-looking company which will settle for nothing but the best. Thane makes more sense than you've possibly ever considered. It has more than you think, is better than most folk visualize, and will soon extend far beyond anyone's wildest imagination. In fact, come to think of it, there's really nothing that Thane doesn't have. 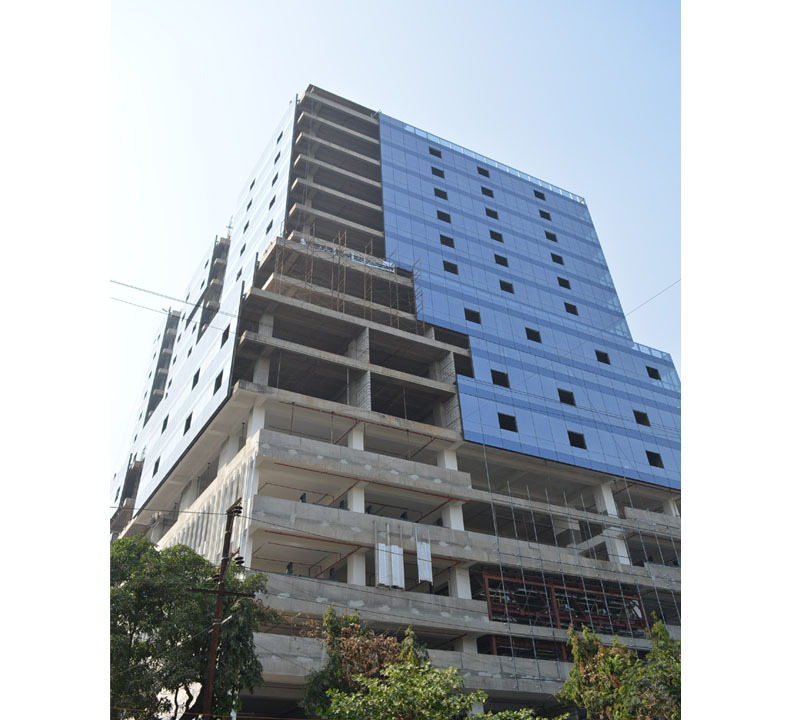 Buying an Office Space in Thane that too Wagle Estate is a Steal deal mainly due to its proximity to nature and fast pace of development coupled with Government's proposed plans to enhance connectivity. Here are some highlights to consider, for starters. Thane enjoys superb connectivity to Navi Mumbai as well as to the Eastern and Western Suburbs of Mumbai via Ghodbunder Road, JVLR, SCLR, Eastern Freeway, NH 8, Mumbai-Nashik Highway and the Thane-Belapur Road. Besides, the Central Harbour Rail Line, Thane-Panvel Rail Line and Central Railways connect Thane to Mumbai's railway network. Future connectivity plans include the proposed metro rail that would run along the Ghodbunder Road with more than 10 halts within Thane itself. With the metro, the travel time between Thane and Wadala is expected to reduce by half. Other infrastructural developments on the cards include construction of the Thane-Diva Road, the flyover at Bhiwandi bypass, metro-3 project to Kalyan and Mira - Bhayander areas and parallel roads from Thane to Kalyan along the metro line.